Increase Kinesthetic Learning and Maximize Participation by Effortlessly Integrating Physical Activity and STEM Activities for Students. Students learn best when they combine mind and body. The Skillastics® method fully engages students in a unique and innovative way, helping break down mental barriers that limit learning. Skillastics® increases kinesthetic learning through positive social interaction, self-direction, and helps develop problem solving skills. 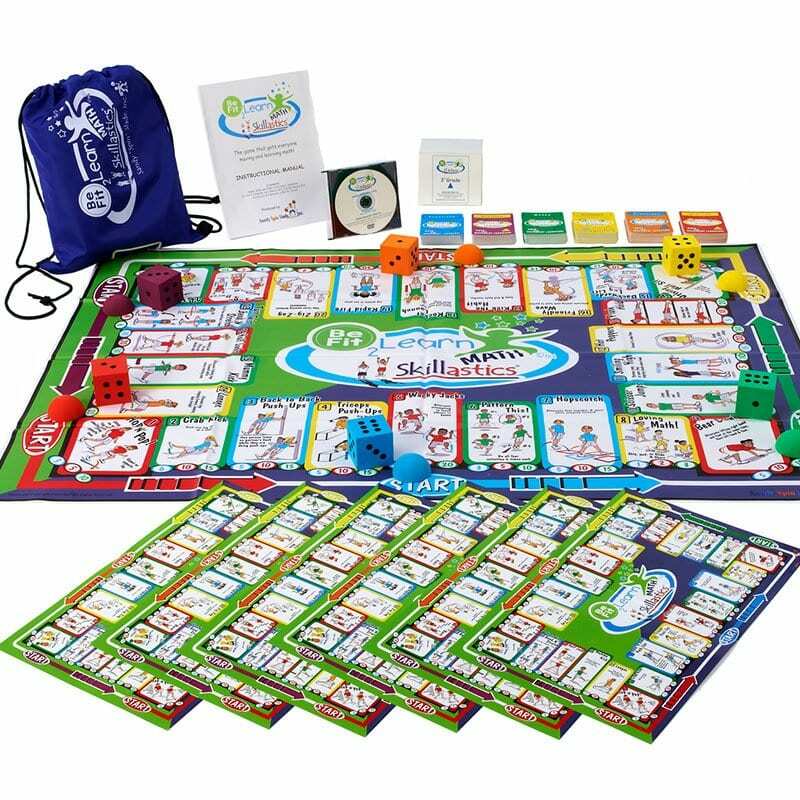 The academic enhanced Skillastics® activity kits are the perfect combination of math, and STEM activities for students while increasing moderate to vigorous physical activity (MVPA). How Do You Integrate STEM Activities for Students and Physical Activity? 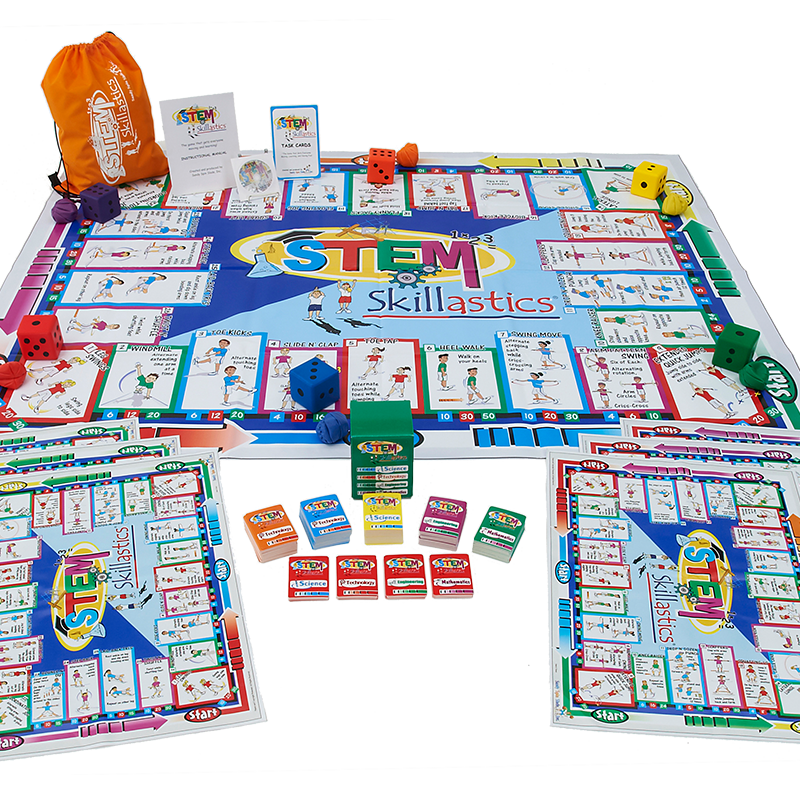 • The teams lay their miniature mat in their team area and place their box set of math questions (with Be Fit 2 Learn Skillastics® Math) or STEM questions (STEM Skillastics®) nutritional cards in the 4 category piles (i.e. science, technology, engineering, and math) next to their miniature mat. • The student chooses the Skillastics® question card color that matches the color border around the activity and reads it to his/her team. We’ve done it all for you. STEM activities for students combined with physical activity that takes kinesthetic learning to a whole different level!